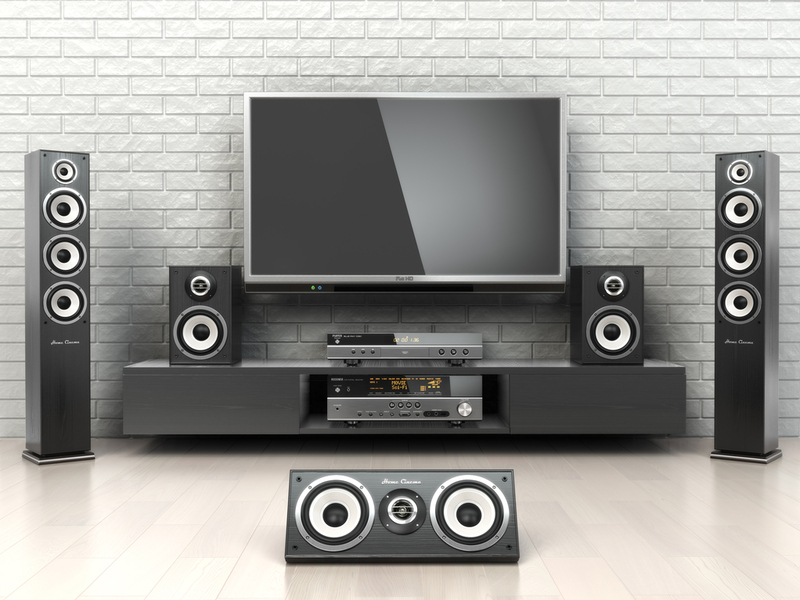 Setting up your home theater with home surround sound system the proper way can elevate your audio visual experience. Follow the tips below to maximize your surround sound and the overall quality of your home theater. •CALIBRATION – use the microphone that is provided with your system to ensure that your speakers are properly calibrated. Proper calibration can help your system to overcome limitations caused by inferior room acoustics due to the size and shape of the room. You may want to rely on the assistance of an AV specialist when calibrating your system to ensure that it is done properly to maximize your surround sound experience. •PLACEMENT – you want your speakers to be at or near ear height while seated. The speakers need to be facing in your listening position with the front two speakers as well as the center speaker equidistant from your listening position. Rear speakers should be placed behind you on either side. Placement of the subwoofer is less important as the deep bass sounds will permeate the room regardless of its position. •OVERALL ROOM ACOUSTICS – minimize hard surfaces as much as possible, with carpeting a must-do to properly absorb the sound. If possible, create a room with rounded walls and no sharp edges from which the sound will bounce off. Ideally, the width of your home theater is 1.6x the height of the room, with the length 2.6x the room’s height. If these parameters cannot be met, use the calibration methods available to adjust your sound system accordingly. These three tips can help you receive the ultimate home theater experience with high-level surround sound. Check out FireFoldAV for more information on how to get the most out of your home theater surround sound system.